So I come to you on the day of your dog-ter's wedding . . oh, wait . . . this isn't a movie. You can think of it as one, though, as you play the head of your dog family and ask each pooch to refer to you as "The Dogfather." I believe that sounds something like "woof, woof, bark!" in dog language. You can get this stoneware mug to help solidify your position in the "family." 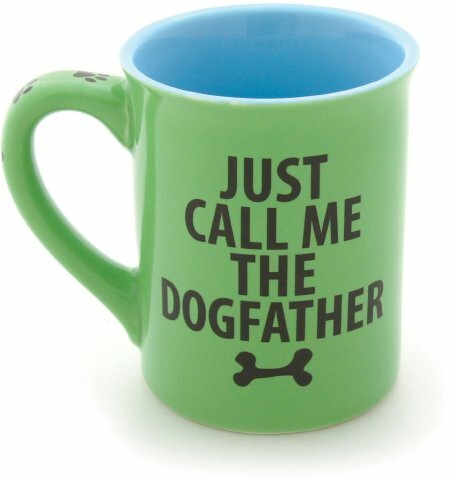 To order your own Dog Father Mug, click here. Oh, and the cat, Fluffy? Fluffy sleeps with the fishes.